By 2040, it is expected that the population in Ireland will have increased to nearly 6 million people, resulting in a requirement for 660,000 additional jobs that need to be created. 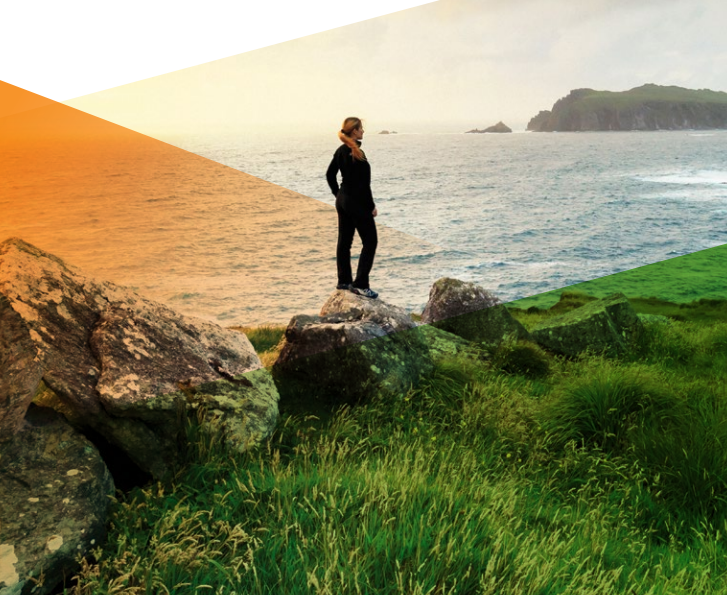 On 16 February 2018, the Irish government announced its overarching policy and planning initiative to prepare Ireland for the future: Project Ireland 2040. Project Ireland 2040 consists of two plans. The National Development Plan: a 10-year, €116 billion programme to upgrade State infrastructure in anticipation of a population increase of up to nearly 6 million people in 2040. The National Planning Framework (NPF): to achieve balanced regional development prioritising growth in the major cities of Dublin, Cork, Galway, Limerick and Waterford. The 10-year €116 billion National Development Plan represents a dramatic increase in public investment for Ireland, and will make Ireland a European leader for investment. The linking of the planning and investment policies focuses not just on bricks and mortar, but on social, economic and cultural development, for long term sustainable growth. The plan includes four new funds totalling €4 billion earmarked for rural and urban development, climate action, and disruptive technologies. There is a major transport focus to link all parts of Ireland, improving public transport networks in cities, and filling gaps in the North-west. There is €22 billion allocated to a climate change programme across transport, energy and commercial State agencies, with a spotlight on renewable energies and electric vehicles. The National Development Plan sets out specific projects and goals as well as targeting in excess of 660,000 additional jobs in the period up to 2040. The following are just some of the plans that are set to prepare Ireland for its changing needs. Dublin Airport will get a second runway at the cost of €320 million. Dublin Port, the Port of Cork and Shannon Foynes Port Company will benefit from €350 million investment. There will be a Dublin Metro linking Swords to Sandyford with a stop at Dublin Airport and the Green Luas line. The DART (Dublin area rapid transit railway) Expansion Programme will see high-frequency electrified DART services extended to Drogheda, Celbridge, Maynooth and the M3 Parkway on the Maynooth/Sligo line. There will be four new Luas (light rail/tram) lines with extensions to Lucan, Finglas, Poolbeg and Bray. Dublin, Cork and Galway will have a BusConnects project which will prioritise bus corridors, upgrade cashless payments and new bus stops and shelters. The M20 motorway between Cork and Limerick will be built at the cost of €900 million. The Galway Ring Road will be built at the cost of €550 million. The plan provides for four new funds totalling €4 billion as set out below. The plan recognises a need to provide in excess of half-a-million more homes over the period to 2040 corresponding to a long-term trend of 25,000 new homes every year. Some 40%of all new housing will be built in cities, towns and villages on infill and/or brownfield sites and 30% elsewhere. The State will commit to the provision of 112,000 new social housing homes by 2027 costing €11.6 billion. The plan includes the establishment of a new public body, the National Regeneration and Development Agency with a task to identify publicly owned or controlled lands (and strategic land in private ownership, if relevant) in key locations which have the potential for master planning and re-purposing for strategic development aligned to the NPF. The Irish State is to establish a €300 million Brexit Working Capital Loan scheme and develop longer-term loan finance initiatives to support business transformation. Funding totalling €53 million will be provided over the next four years to North-South INTERREG research and innovation projects. Enterprise Ireland, InterTrade Ireland, Board Bia, and IDA Ireland will have initiatives to support and develop opportunities arising from Brexit. Spending of €10.9 billion has been allocated to health projects across Ireland. This is to include the construction of a new children’s hospital at St James’s Hospital campus in Dublin and the replacement of the four major standalone maternity hospitals by relocating them to established hospital campuses. There will also be a programme for further Primary Care Centre construction across the country. The State is setting an objective of €21.8 billion (€7.6 billion Exchequer / €14.2 billion non-Exchequer) to be spent on projects transitioning Ireland to a low-carbon and climate-resilient society. It will include the projects listed below. The conversion of existing coal-fired power stations by 2025. The public bus fleet will be replaced with electric buses and the phasing out of those powered by diesel. €940 million committed to 29 Flood Risk Management Plans, which are to include flood relief schemes in Limerick city, Tralee, Dundalk, Carlingford and Drogheda. At least 500,000 electric vehicles on the road by 2030 with additional charging infrastructure to cater for planned growth with no new non-zero emission vehicles to be sold in Ireland post 2030. The establishment of the Climate Action Fund referred to above. The National Planning Framework is the Government’s high-level strategic plan for shaping the future growth and development of the State. It is intended as a framework to guide public and private investment and to create and promote opportunities. While the National Development Plan discussed above covers a 10-year period its proposals have been guided by the National Planning Framework. The National Planning Framework is intended as the basis for planning out to 2040. The ten key strategic outcomes set by the framework are outlined below. The framework notes that more balanced growth also means more concentrated growth. Five cities of population size greater than 50,000 people, being Dublin, Cork, Limerick, Galway and Waterford are targeted for 50% of overall national growth between them, with Ireland’s towns, villages and rural areas accommodating the other 50% of growth. A priority is to ensure the enhancement and upgrading of access between all regions and urban areas in the country to ensure a high degree of accessibility to Dublin, as well as to and between other urban centres. Rural areas are highlighted noting their natural resource and food sector potential as traditional pillars of the rural economy, which are to be supported with improved connectivity, broadband and a rural economic development fund. Tied into a climate change plan, electric transport solutions are to be promoted with the target that no new non-zero emission vehicles to be sold in Ireland post 2030. One focus area for the future economy of Ireland is the creation of places that foster enterprise and innovation and that attract investment and talent, to strengthen growth and employment potential. This is to be achieved through building regional economic drivers through a number of initiatives including the use of IDA Property Solutions, strategic sites and grants to attract Foreign Direct Investment to serviced sites of scale with appropriate zoning and capacity. International connectivity is stated to be crucial for the State and numerous transport improvements are to be targeted. Airports and seaports have specific projects earmarked. To ensure that cities, towns and villages are attractive and can offer a good quality of life to retain talent, the importance of developing public spaces, parks and streets, as well as recreational infrastructure has been highlighted. A fund of €1 billion, as mentioned above, is allocated to strategic investment priorities in this area. This objective is to shape the Irish Government’s investment choices over the coming decades, in this case out to 2050, with new energy systems and transmission grids required for a more distributed, renewables-focused energy generation system, harnessing both on-shore and off-shore potential energy sources such as wind, wave and solar. Conserving and enhancing the quality of natural and environmental resources such as water sources has been given key status. There is also referenced an €8.5 billion investment through Irish Water to improve infrastructure and services. Supported by significant public investments as outlined in the National Development Plan, education, childcare, and health infrastructure is cited as a strategic focus. Proposed projects are linked to the other goals of compact urban growth and the provision of services relative to the scale of a region, city, town or neighbourhood. The National Development Plan, the National Planning Framework, and an executive summary can be downloaded from here. For further information on any of the above please contact Jennifer McGuire, Partner, or James Byrne, Associate Solicitor.